As I may have mentioned before, one of my favourite books is JRR Tolkien’s The Silmarillion. It is in fact a collection of stories, telling the history of Middle Earth, the first one being the Ainulindale – The Music of the Ainur – being an account of the creation of Arda. 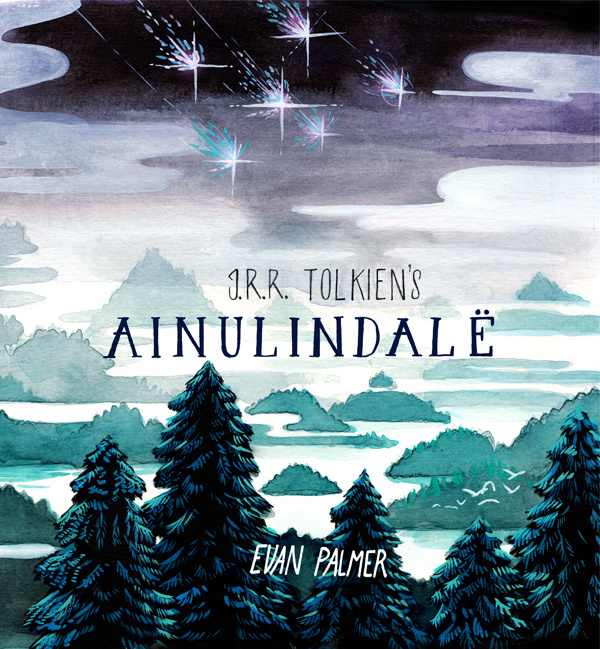 An artist by the name of Evan Palmer has produced a 54 page watercolour comic of the Ainulindale, and it is rather stunning. Well worth a look for those fans of The Silmarillion like me.